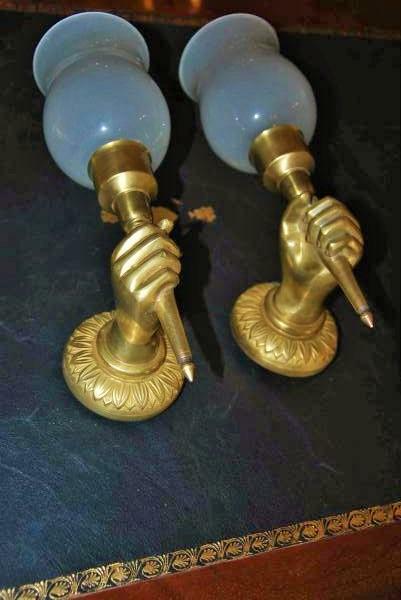 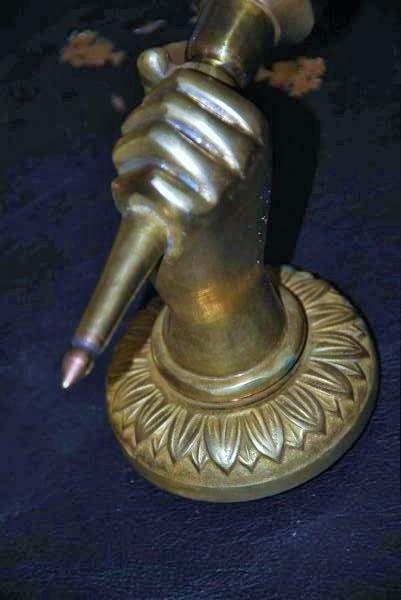 Beautiful and original pair of wall lamp in bronze representing hands carrying a candlestick. The candlestick support glass in opaline for a pretty appearance. 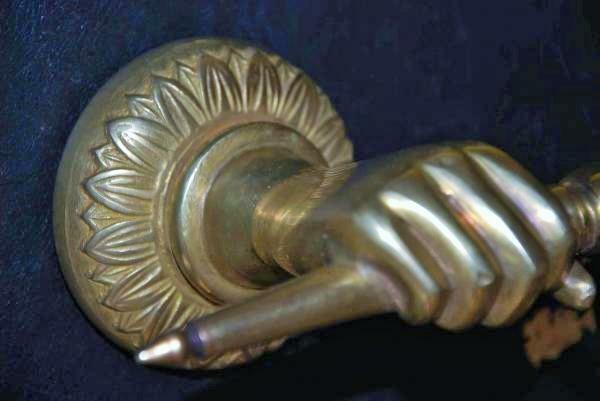 The baseof these wall lamps is in the form of finely sculptured rosette. 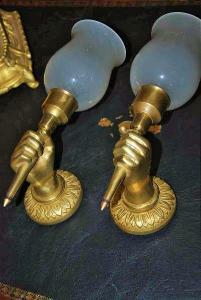 This pair of wll lamp in bronze will give a lot of originality to your interior.